This morning at a series of events in London, New York and Beijing, the BMW i3 was introduced to the world – marking the official introduction of the German luxury automaker to the electric vehicle segment with a car that could make a big splash in the US. We learned last week that the new BMW i3 EV would hit US shores next year with a price starting at $41,350 but via the big global unveiling, we have a full complement of details on the first ever electric Bimmer (click here for more on the official BMW i3 pricing.. Included in today’s unveiling was the pricing for the Range Extender models that come with a 650cc 2-cylinder engine that can charge the battery when it runs low, allowing for an endless range provided that you can keep refilling the gas tank. The BMW i3 Range Extender model comes with an MSRP of $45,200 (not including the $925 destination fee). As expected, the BMW i3 is powered by an electric drive paired with a 22kWh lithium ion battery that BMW expects will offer a range of 80 to 100 miles on a single charge. Should the official rating be towards the upper end of that scale, the new i3 will be able to compete in range with the EV heavy hitters sold here in the US. More impressively, the standard charger that comes with the i3 can fully recharge the system in just 3 hours while the optional SAE DC Combo Fast Charging system can do the job in just 30 minutes. With charging times like that, range anxiety will be almost eliminated considering that you can stop at a fast charging station and fill the system in about the amount of time that it would take to have a quick lunch or grab a coffee at a very slow shop. 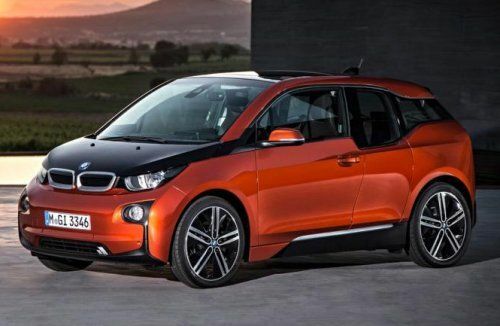 Since the i3 is still a BMW – a brand which prides itself on offering an incredible driving experience – the design team has made sure that this compact EV offers the kind of performance that you would expect from a modern piece of German engineering. With the i3’s electric drive system packing 170 horsepower and 184lb-ft of torque in the 2,700 pound car, it is able to dash from 0 to 30 miles per hour in just 3.5 seconds and hitting 60 will take right around 7 seconds so while it isn’t blistering fast, it can still get up and go pretty quickly for an EV. One downside to the electric drivetrain is that, like many of the competitors in the segment, the i3 is limited to a fairly low top speed of just 93 miles per hour. In theory, the i3 could likely run well up over the 100mph mark if not limited but that would likely deplete the battery very quickly and that would start up the chatter that the electric BMW doesn’t offer the range that they promised. Plus, I would imagine that a great many EV buyers (Tesla owners excluded) don’t spent a whole lot of time blasting down the highway at 120. 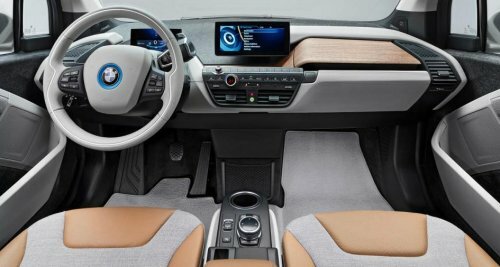 The BMW i3 will be available at launch in three different trim levels that the company refers to as “worlds”…which is very unique to the segment. The base model (which will carry that $41,350 base US price) is named the Mega World and it includes features like 19 inch “extra efficiency” aluminum wheels, navigation, BMW’s ConnectedDrive system, an alarm system, LED lights all around (headlights, tail lights and daytime running lights), a leather trimmed steering wheel and BMWs unique sustainable cloth interior coverings that are made from recycled materials. The next step up for the BMW i3 is the Giga World which builds on the Mega World and adds package specific 19 inch wheels, an upgraded interior with some leather and some cloth, a build in garage door opener, a sunroof and satellite radio. 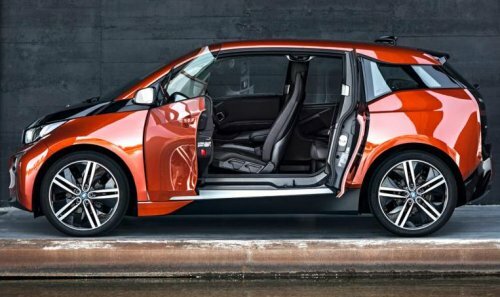 The top of the line BMW i3 is the Tera World package that includes all of the amenities of the Mega and Giga Worlds but adds a full leather interior with contrasting stitching, unique floormats and yet another set of package specific wheels. Pricing has not been announced for the Giga and Tera World packages. 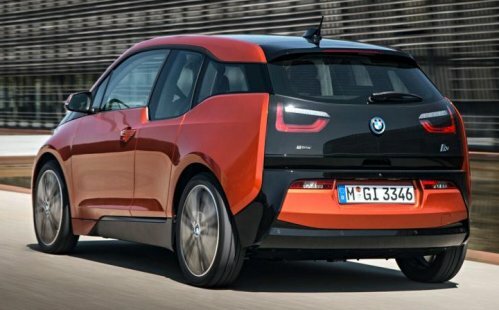 BMW has promised that the full pricing, option lists and everything else for the new i3 will be available for US consumers sometime in the fall of 2013 with the first units expected to hit American dealerships sometime in the second quarter of 2014. When that additional information becomes available - you can be sure to find it here on TorqueNews.com.